I so enjoy the work of Harrison Weir (1824-1906). He is among the most highly represented artists on Reusable Art. 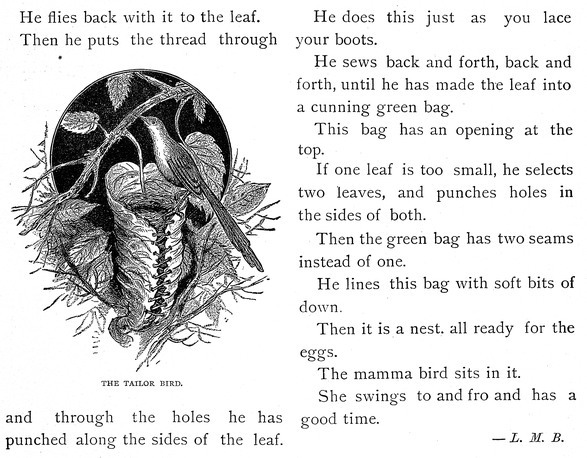 This bird image is from a book entitled Bird Tales circa 1889. The tailer bird is so named because they create their nests by stitching leaves together as can bee seen in this wonderful bird nest image. This free copyright free bird image can be downloaded and used however you wish.